ROTJ hardcopies and hardcopy parts surface more frequently than their Star Wars and Empire Strikes Back era counterparts. 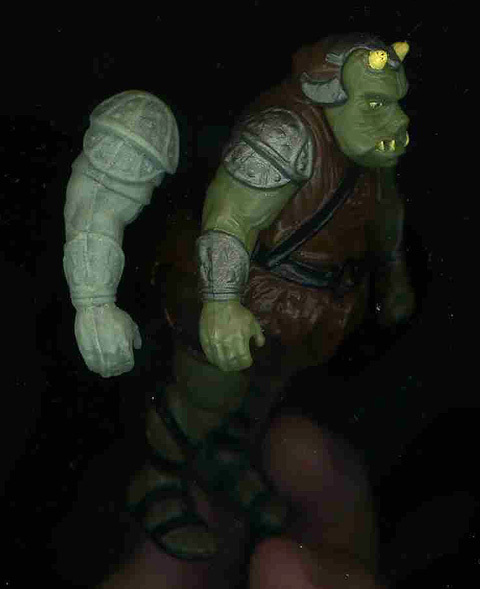 The green Gamorrean Guard hardcopy right arm seen here is cast in dynacast, a urethane commonly found among Kenner hardcopies from the late Empire Strikes Back and Return of the Jedi eras. 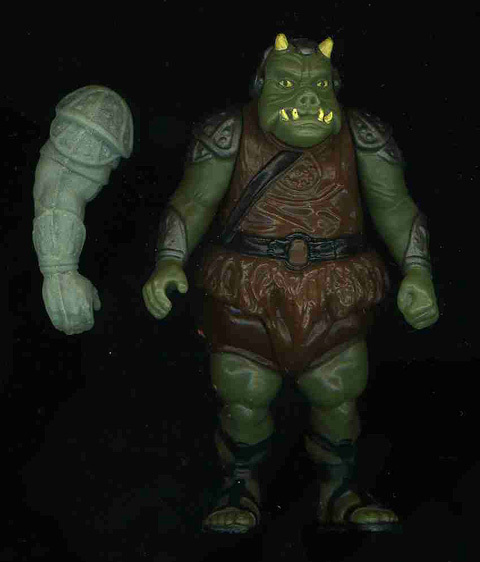 A production quality Gamorrean Guard action figure is shown with the hardcopy arm in order to illustrate the size difference between the production figure and hardcopy arm. The hardcopy arm is slightly larger than that of the production figure. This size difference holds true for the other figure parts, which are sadly absent. 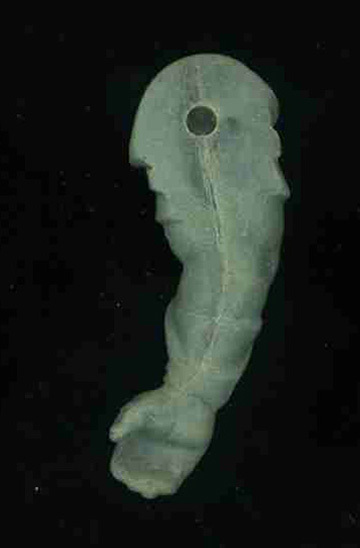 The next two images show both sides of the arm. The detail on this piece, and all hardcopy parts for that matter, is much crisper. Fine detail is often subdued or lost throughout the later portions of the production process. 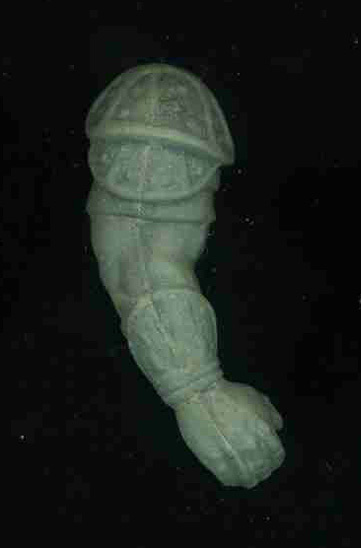 Hardcopies cast from wax sculptings, like the Gamorrean Guard arm, typically exhibit holes in the extremities to allow attachment to the torso via small metal dowels. As one may notice from the entry title, the Gamorrean Guard hardcopy arm is labelled as an alternate sculpt. The arm departs from the production figure due to differences in the shoulder and wrist regions. The shoulder difference is clearly illustrated in the above photo. It shows the shirt sleeve-like detail of the hardcopy arm, which was later removed for the final version. A similar point of additional detail shows up on the inner arm near the wrist guantlet. Again, this additional detail was ultimately removed for the final version. Slight alterations during the development of an action figure are not unusual, however it's interesting to view the small modifications a figure undergoes to reach a final approved style.